It is a condition which causes the blurred vision and the patient feels faint. The patient feels light head and feels inactive along with tiredness. If the patient gets unconscious then this condition known as syncope. Official definition of presyncope is “the sensation that one is about to pass out”. Presyncope is a cardiovascular condition and light head normally occurs due to hypotension i.e. low blood pressure. Presyncope is just a feeling of dizziness and faintness. The patient may feel weakness in muscles but don’t get faint. Presyncope is a sensation which patient feels just before getting faint. Presyncope is a difficult condition to diagnose from other conditions like vertigo and light head. Presyncope is associated with the nervous system, but may be caused by any problem in heart, as heart follows brain. Whenever there is a problem in blood regulatory system between heart and brain, presyncope occurs. The patient can also go through syncope if this condition gets worse. The patient should be referred to cardiologist as this condition is associated with heart. Presyncope occurrence frequency is higher than the syncope. It may also be defined as episodic changes of consciousness. In presyncope the patient don’t lose his tone of posture. If anxiety is found in any patient then there may be more chances of occurrence of presyncope in that patient. As presyncope occurs just before the attack of anxiety. The regulations of flight and fight associated with anxiety , If get disturbed, then may be the cause of light head ultimately causing presyncope. The patient with anxiety may need appropriate counseling from a specialist and psychological medications can also help in reducing stress and relieving patient, so that the presyncope can be controlled. Anxiety is considered one of the cause of presyncope. The major cause associated with presyncope is the obstruction or hindrance of regulatory system of blood flow between cardiac and nervous system. If the blood pressure suddenly drops then there are chances of presyncope. Patient taking medications for hypertension is also susceptible to presyncope. Anxiety is another common cause of presyncope, it should be treated on time otherwise can worsen the patient’s condition. Any kind of infection inside ear can also be the cause to presyncope. A condition named Meniere’s disease is also considered the cause. Presyncope can be secondary to medications used for narcotic pain, seizures and depression. There are many symptoms associated with presyncope like nausea, the skin gets pale and the patient can’t stand steady. The patient may also feel weakness in muscles and light head. Sweating and changes in the body temperature is also the most observable symptom in presyncope. The patient feels like he is going to faint but not actually get faint. 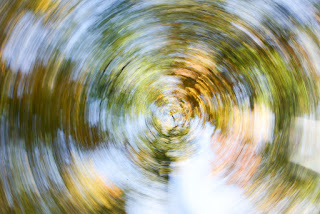 Dizziness and vertigo are also reported. The patient can’t see clearly and the vision may get blurry, patient feels like everything is rotating around him. Headache and pain in stomach are reported. Patient get confuse and irregular heartbeats are observed. Treatment of Presyncope is symptomatic in routine cases. If there is any emergency condition then prompt intervention is required. e.g in case of nervous breakdown or sudden cardiac shock patient may get into presyncope or syncope like condition. In such scenario, patient vitals observation is very critical point to rule anything dangerous.